Let’s GO to New Brunswick! I can’t even begin to tell you the excitement that is exuding from my every pore. Next week I will be joining a group of North American Influencers and we will be taking on New Brunswick. That means we will be visiting New Brunswick’s gorgeous attractions and taking in the natural beauty of this province. I will be honest, while I have travelled many states in the United States and have been in Central America, I’ve never left Ontario. That is why I am so ecstatic to experience the East Coast. I’ve heard many a tale of amazing food, incredible and unforgettable sights and just overall a place that needs to be seen. New Brunswick is perfect for family travel and I thought what better way to spend some time with my eldest daughter and make it a Mommy/Daughter trip than this? Gabs and I are super excited where our itinerary will take us. We will be seeing New Brunswick road-trip style and driving to each destination ourselves. While it may be intimidating, it is also a great way to get a feel for the province. Our first day, we will be visiting Resurgo! Place, a transportation museum, Magnetic Hill Zoo and Hopewell Rocks. That is one destination that I am absolutely thrilled to see and a place to check off my travel bucket list! On the way out we will have to take a selfie with the world’s biggest lobster. We just have to, right? We will be visiting a few nature parks like Fundy National Park, Irving Nature Park and the incredible phenomenon of the Reversing Rapids. There is much adventure to be had and you will have to follow along on my feeds to see them all. For now, take a look below at all the places we will visit. Perhaps you will find a place that you will want to visit too. 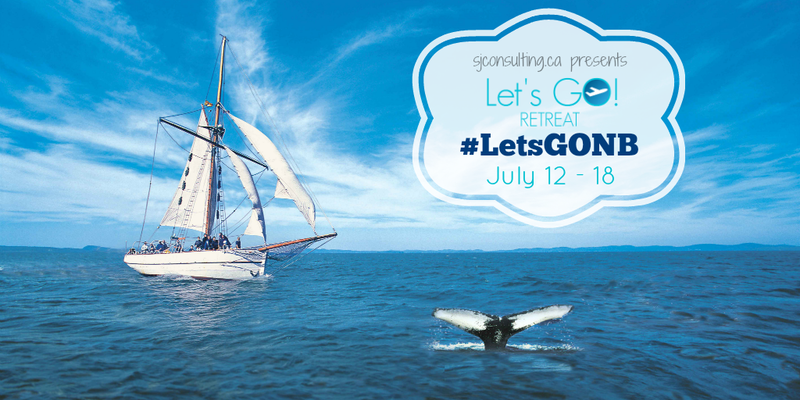 In the spirit of kicking off this retreat, New Brunswick Canada and SJ Consulting are hosting a super fabulous Twitter party. It is on July 8th (TONIGHT) at 9PM EST and let me tell you, it will be fabulous. I hope I will see many of you at the party tonight and would love if you followed along on our adventure from July 12-18. One of the things that I am looking forward to is whale watching as I can only imagine the beauty of these majestic creatures. Have you been to NB, do you have any tips? Just RSVPd! You're going to love NB! It's so beautiful. Wish you could pack me in your suitcase! LOL! 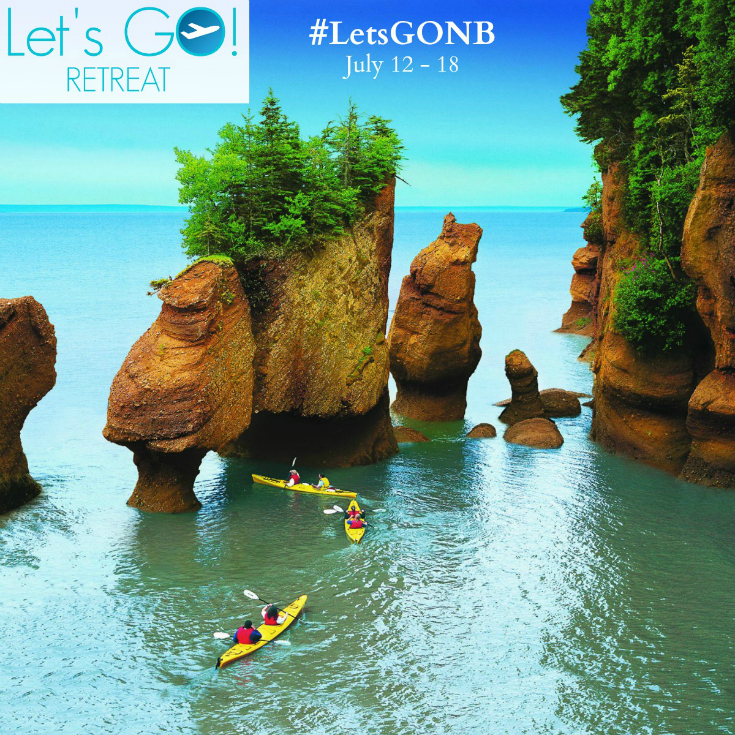 We look forward to exploring New Brunswick with you! Amazing place to take shots with a GoPro!